How do I get Started ith the DIY Option? You can build and maintain your own site because it is easy (no coding knowledge is required) and by arrangement, we help. When you register for your free trial your username must be one word with no spaces. Go to your site at your your URL and login with your e-mail address and password. Next, select Members Portal / MY ACCOUNT and open your Admin Manager. On the right is a list of all the site builder options. Select an option and review the "How To Tips". Contact us to activate the LPM Package. We suggest that you start by reading our DIY Getting Started eBook. How do I get Started with the B4U option? To start please register for the DIY option and then Contact Us. Alternatively you can book a one-on-one consultation Here. If your business is pressed for time then our B4U subscription will get you on the fast track to getting started. We offer a wide range of opportunity and support in the B4U option that will include the design of a roadmap that will take you from here to where you want to be. We are digital marketing strategists with tried and tested performance enhancement frameworks that have a reputation for delivering impossible results. Contact us, we aim to please! Who can subscribe to the DIY option and what support is available? The 14 Day Free Trial is available to all. In addition to the Geeting Started eBoo the DIY option is supported by video conference training in a Webo Online Meeting Room where you will find all the resourses needed to get growing! Remember that there are "How to Tips" at the foot of every page of the Admin Panel. 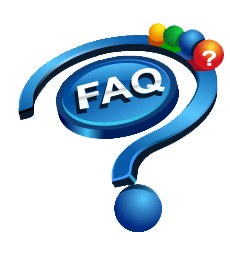 You will be required to register to get your site builders account so that you can login with your registed email address and password. If you want your site built for you or built with you (B4U / BwU)- Please contact us. You need to provide us with the content so we need you to work with us unless you have a website that already has your content on it. What are the chances of a Referral Marketing programme becoming a success story? What are the chances of a Referral Marketing programme being a failure? 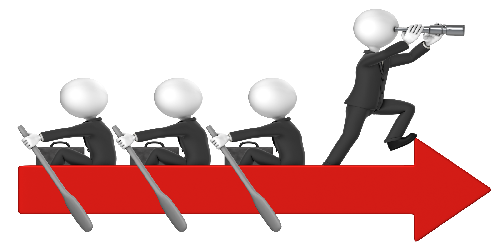 About 30% of all referral marketing programmes fail. Okay, so why do Reputation and Referral Rrewards Programmes fail to make participation irresistible and can I learn from their mistakes? NEARLY EVERY CAUSE OF FAILURE IS ADDRESSED IN OUR EBOOK - Read more here. 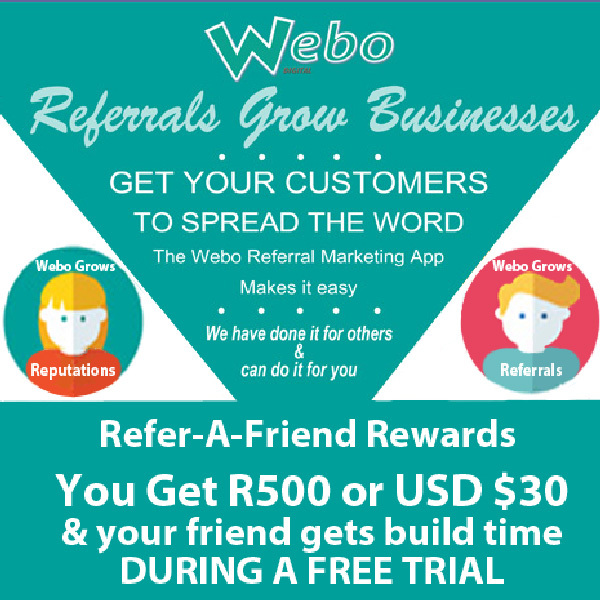 Does Webo Digital have a Referral Marketing Programme? with build time during the 14 day FREE TRIAL period. Refer-A-Friend Programme. Read more here. that allows me to open my own Webo SaaS Business? Yes, we do. Read more here. 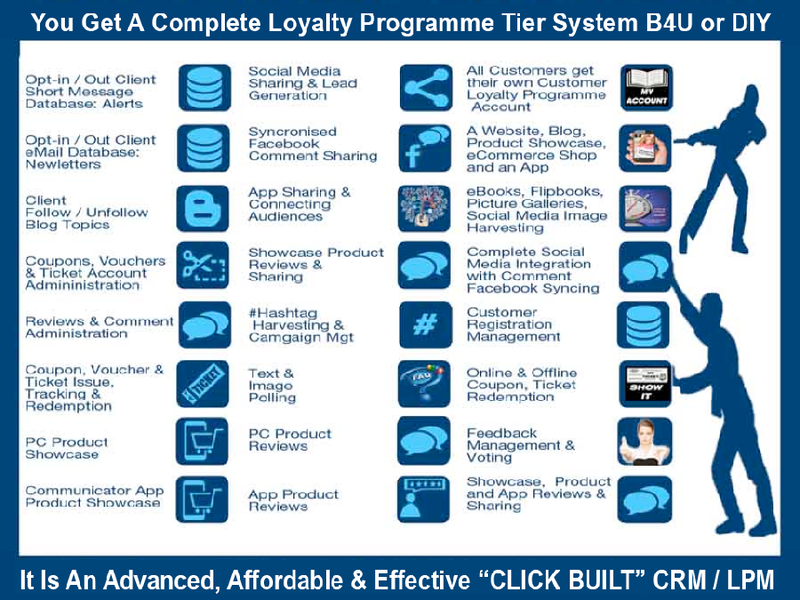 We are a local business without a big business marketing budget so what can this all-in-one reputation and referral marketing programme do for me? 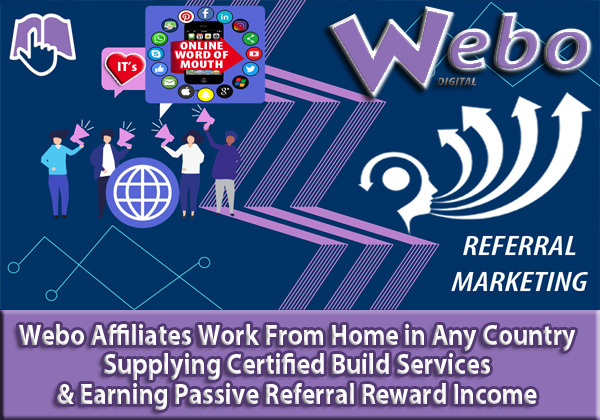 Referral Marketing is an alternative to getting found on the internet because your customers put you in direct contact with their friends and connections and so the PROBLEM of SEO is not a consideration in communicating with your audiences. 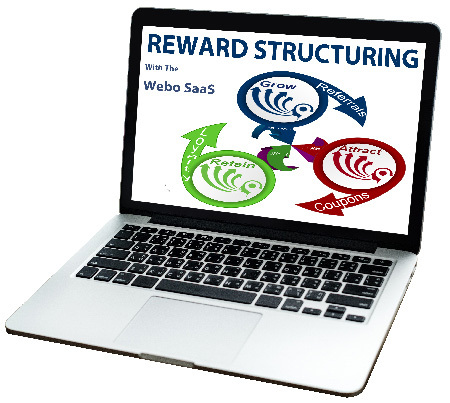 Where can I read more about Digital Marketing with the Webo SaaS? I understand that every customer of mine will get their own private customer account that they can log into to track their referral rewards on their Admin Panel. Great, but how many customer accounts do I qualify for with the packages? There is no limit to the number of private customer accounts. We expect your business to have thousands of customers. What database records on my customers will I have access to? Your customers may opt-in to receive SMS or Email notifications from you and we maintain two databases to support engagement in this manner. 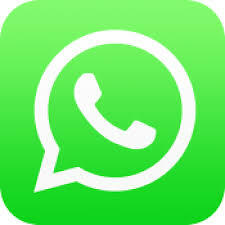 We maintain a database of SMS opt-in customers which you can download and we maintain a database of Email opt-in customers which you can download. How many items can I list in the Communicator App? There is no limit however there is a practical consideration that needs to be considered which is that browsers will ire of scrolling down through hundreds of items. Presenting items in categories is a partial solution. Where you have hundreds of items it is suggested that these are made available in the PC page option and that a selection that is limited to a couple of hundred are featured on the Mobi App with read more links to the more comprehensive PC version. Do the SaaS Packages include bulk Email and Bulk SMS functionality? Your ADMIN PANEL offers the opportunity to bulk SMS one or more selected customers or all of them that have opted in to receive SMS notification and there is a similar option to bulk Email your opt-in customers. Bulk SMS and Bulk Email credits are an optional extra charge. Can the Communicator App be built as a full Mobi eCommerce Store? The PC Page and the Mobi Communicator App can offer classified (unpriced) items, fixed price items and fully managed auction items plus it can offer fully managed coupons, vouchers, tickets and more. Can the Communicator App sell digital products for managed delivery? Digital products (eBooks, music, etc) can be fully managed for free, paid or auction delivery. Physical product delivery cost charging and delivery tracking functionality is available. I get it. There are three keys to success. 1. We must delight our customers. People do not willingly make bad referrals. 2. You must make it easy and simple so that customers do what we ask them to do. 3. We must reward customers for participation and for growing our business because incentives work.